The weather at home has eased enough to melt the snow in all the areas except shaded spots, but it hasn’t released its grip on the frozen ground. 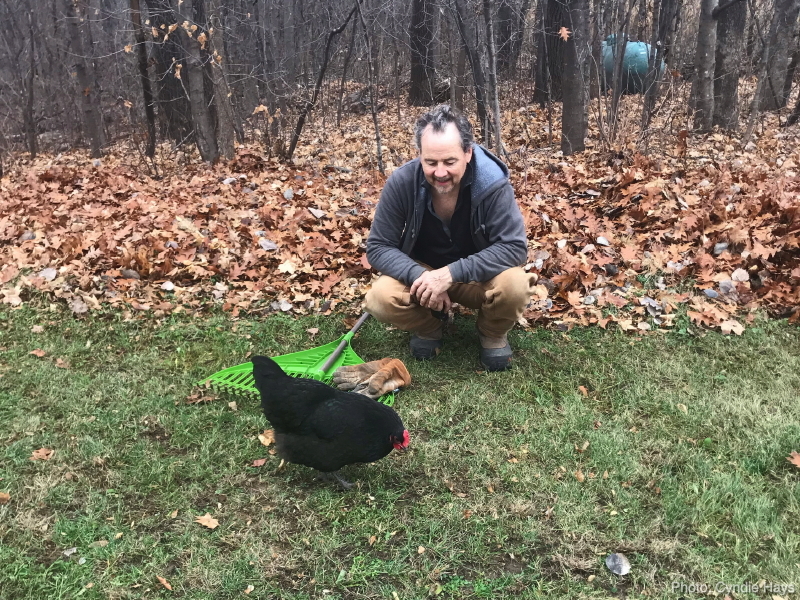 I had a spare ten minutes last Friday while Cyndie was finishing preparations for our visit to Anneliese and George’s house, so I grabbed a rake and tried moving some leaves off the grass on the front yard. 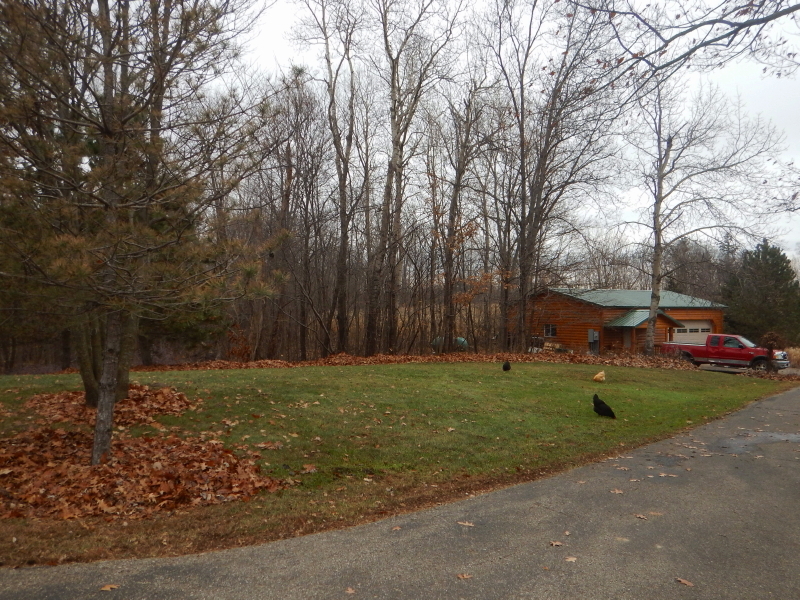 In the time I had, pretty much all I accomplished was clearing a small area of the yard and piling the leaves around two trees. 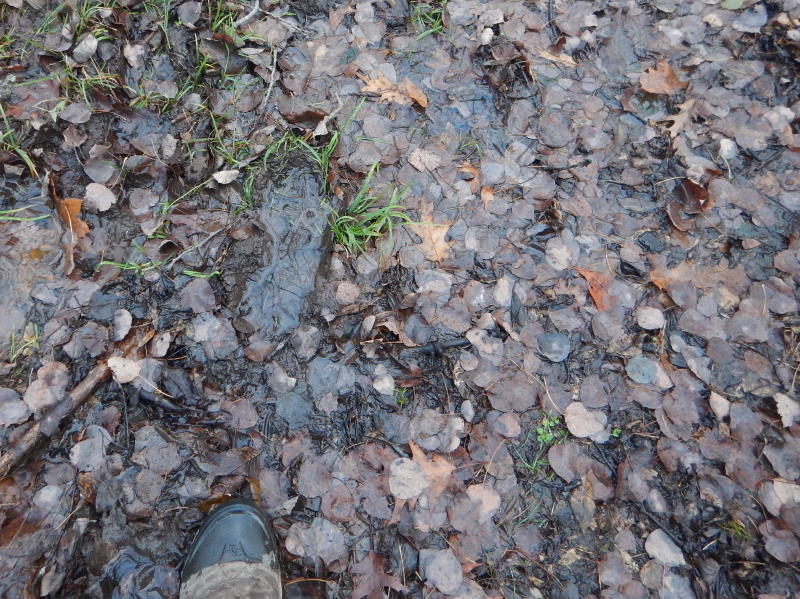 That left a lot of oak leaves still frozen in the grass. 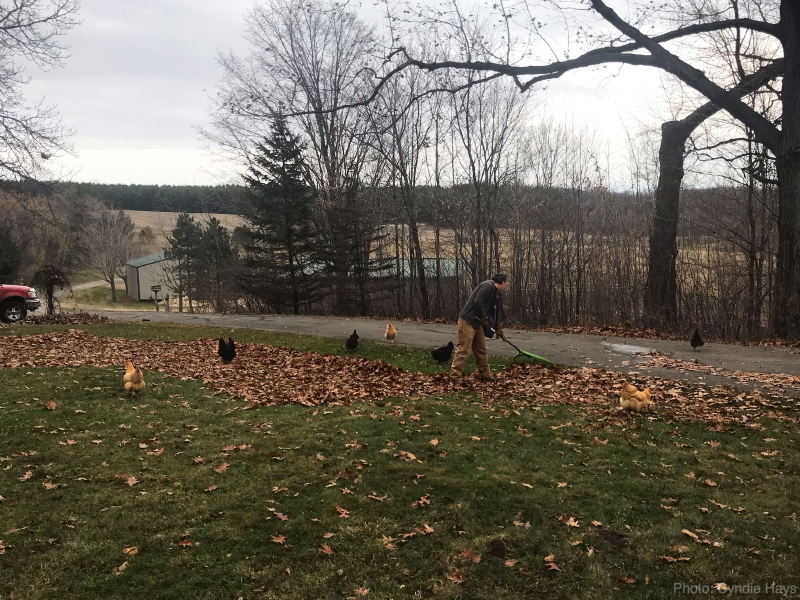 Earlier Friday morning, I also tried raking out piles of composted manure that I had dumped on the hay-field while Cyndie was in Guatemala. 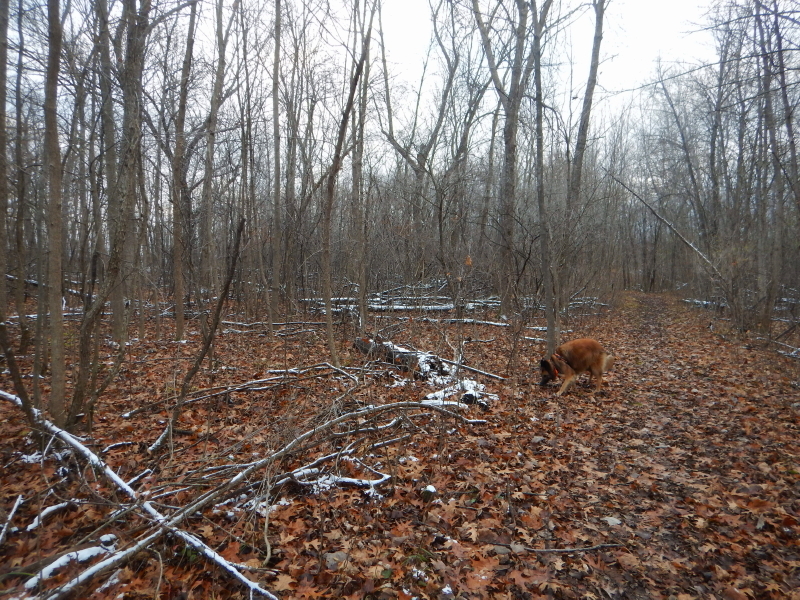 I hadn’t gotten a chance to do that before because it rained, then froze, and then snowed on those piles. 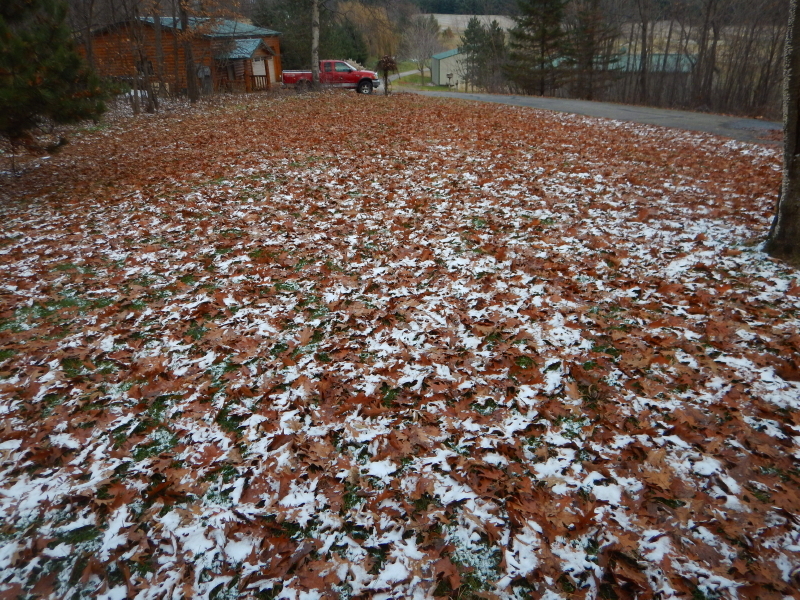 On Friday, it was almost warm enough to make me think raking out the piles would be possible. Almost. I worked on it anyway, because it felt like any little progress was better than no progress at all. 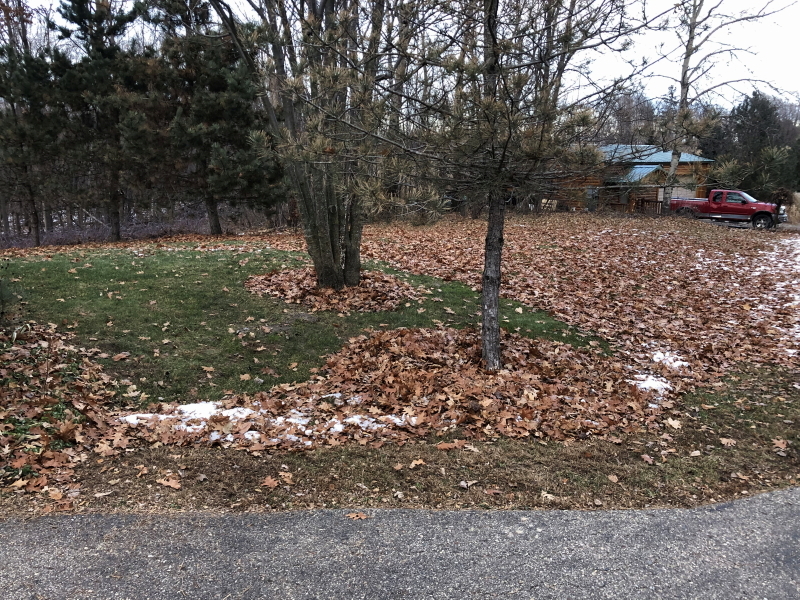 I’m counting on the universe giving me points for at least trying, on both the leaves and compost tasks.